When planted together, certain crops can help each other out with pest control, soil nutrients and weed suppression. So-called "companion gardening" can be an organic alternative to chemical controls. A past season's late summer garden in Liberty shows plenty of diversified species growing well together. Randy Sullivan remembers gardening as a teenager with his grandmother, who always planted her radishes with her cucumbers. Turns out, the late Lorraine Sullivan was practicing the generations-old technique of “companion gardening,” in which certain plants — when grown together — improve each other’s health and yields. Radishes, for example, help repel the cucumber beetle — one of the banes of any gardener. Companion gardening, Garland said, can be an organic alternative to pest management, weed suppression and adding nutrients to the soil. That sacrificial plant will attract the pests away from the desired plant, she said. “Then you can go out and manage or destroy those pests in whatever manner you choose,” Garland said. Eggplant is example of one crop that will attract an array of pesky bugs that want to nibble on peppers, tomatoes or cucumbers. When gardeners are not battling pests, they are pulling up weeds, but Garland said there are plants that can help that fight. 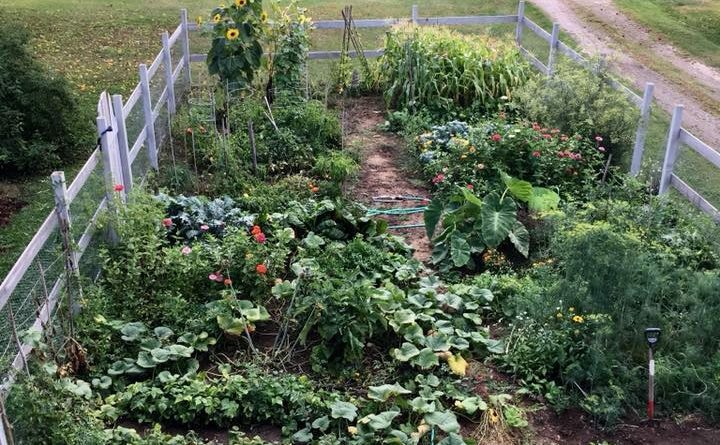 Perhaps the most famous example of companion gardening is the triumvirate of squash, corns and beans, often planted together by indigenous peoples going back hundreds of years. Nitrogen “fixing” plants produce nitrogen compounds in their root systems and when that plant dies, the nitrogen is released and available to other plants, which can’t produce their own nitrogen, to use. The tillage radish, also known as a daikon radish, she said, is one of those deep-rooted crops that also has the added benefit of breaking up compacted soil. Above ground, flowering plants attract pollinators which greatly benefit an entire garden. If space is at a premium, shade tolerant or root crops can be planted in between taller plants or, early producers can be paired with late bloomers. Of course, just as there are extended family members who enjoy hanging out with some relatives more than others, there are those plant species which need to be kept separate. Asparagus, for example, does well when planted with tomatoes, dill, parsley and basil, which seem to help repel slugs and attract friendly lady bugs; they do not do well when paired with onions, garlic or potatoes, which, in turn, are happy when planted with peas or thyme but hampered by pumpkins and sunflowers. To keep a companion garden plan from becoming as overwhelming as the seating plan for a feuding family wedding, Garland recomments consulting companion species charts published by seed manufacturers or available online. Back on his homestead, Sullivan can’t wait to begin his garden, using some of the old family pairings. Of course, not all of Sullivan’s youthful companion gardening attempts were wholey encouraged by Lorraine Sullivan.